As a London pest control company we’ve been in the vermin treatment and control business for years and the technicians have seen quite a lot of things. They have also received some very interesting questions about one of the most common household pests – the mouse. The Panther Mouse control experts have gathered all mice-related frequently asked questions in a list and will gladly give you some answers and a peace of mind. What’s The Difference Between A Rat And A Mouse? Are Mice More Common In Winter? How Do Mice Get In The House? Where Do Mice Hide In A House? How Many Mice Are Considered An Infestation? What’s the best bait for mouse traps? If my house is clean, how can I have mice? I haven’t seen a mouse, do I have an infestation? Why do I have mice when I have a cat? Question 1: What’s The Difference Between A Rat And A Mouse? There’s quite a substantial difference between the two species when it comes to appearance. The most common rat species invading UK homes is the Norwegian or brown rat. Adult individuals of both species are easy to differentiate. Rats are bigger in size and weigh somewhere between 350-400 grams and body length between 7 and 9 inches. Mice are tinier and lighter. They reach a body length of 3 to 4 inches and the same tail length. When it comes to weight they reach approximately 30 grams and vary from light brown to black and grey. Rats, on the other hand, are brown or grey. Read more: Difference betwee mice and rats droppings. Question 2: What Do Mice Eat? Mice are omnivorous, which means that plants and meat are both included in their diet. Actually, they’d eat anything they can get their tiny paws on. When food is scarce they are known to become cannibals. Question 3: Are Mice More Common In Winter? When winter closes in, the weather becomes colder and outdoors living conditions become less favourable, mice often invade human dwellings. “My house is not old and I keep it clean. Why do I have mice in my house?” Why is that, really? There are a few reasons. They need food, and what a better way to get it than from human homes. Second, mice seek warmth so they can raise their babies undisturbed. And last, they are safe from predators like owls, as they have a secure hiding place. 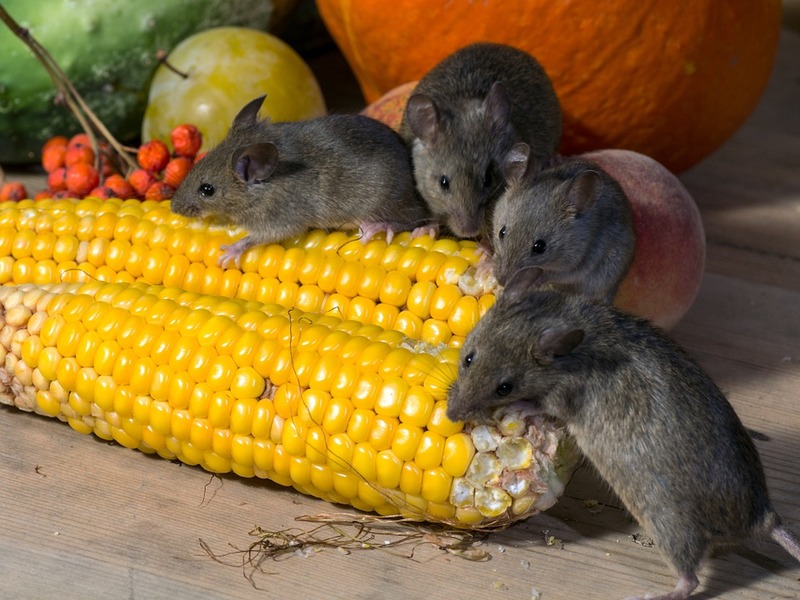 Read more: Where do mice come from? Question 4: How Do Mice Get In The House? Mice have the physical ability to squeeze in tiny spaces under doors. Their bodies are flexible enough to almost “flatten” their rib cages, so they could pass through small holes. If they cannot do it, they are persistent enough to chew their way into your home. Yet, they’d prefer small crevices or cracks somewhere in your property which they could use as an entrance. Question 5: Where Do Mice Hide In A House? Their “sweet homes” are the places in your property which are often rarely or not-at-all used by people. These spots are basements, attics, storage boxes, wall interiors. Though they are close to people, they will live undisturbed by you. Read more: What does house mice nest look like? Question 6: How Many Mice Are Considered An Infestation? If you don’t check your property and pest-proof it often enough, it is almost certain you will have problems with a mouse infestation. At first, you might encounter one or two of these rodents, but they’d quickly grow in numbers. If there is enough food and space for them to live in peace, their tiny population would soon thrive. We’ll give you a rough estimate: if a male and female remain in their nest and have mouse pups, their number would quickly grow to 8 babies, you’d have 10 mice in your property for starters. Question 7: Do Mice Bite People? Regardless of how terrified you are of mice, they’re peaceful creatures and won’t crawl into your bed while you’re asleep to bite your nose off. If threatened, maybe when you grab them, they might bite you. Remember, they’re just as terrified as you are. This would be the answer to “Are mice aggressive?” Otherwise, they wouldn’t prefer living in unused rooms or spaces. Question 8: What’s the best bait for mouse traps? Mice eat a lot of different things. They would gnaw through hard surfaces to get to your kitchen, after all. To capture a mouse in a trap you can try any of these 10 mice baits: chocolate, cheese with a strong smell, butter crackers, bird seeds, soft pet food, sweet soft candies, peanut butter, bacon, hot dog, maple syrup or honey. 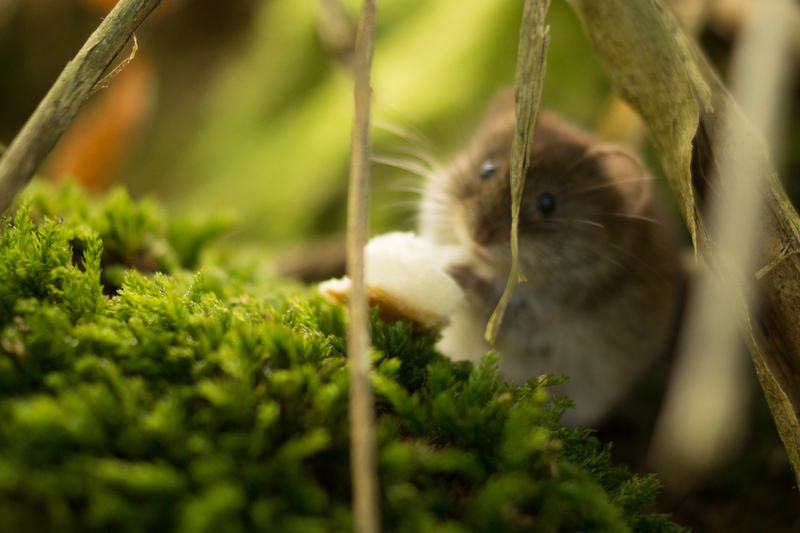 Read more: Mice species in the UK. Question 9: If my house is clean, how can I have mice? Mice are not attracted only to dirty or disorderly houses. Such homes are just more likely to have a mice infestation due to the easy access to food and shelter for the mice and the small probability to see them. They seek shelter and food. They would enter your home, too, trying to find these things. If they can’t find food, they might stay for the warmth it provides. Question 10: I haven’t seen a mouse, do I have an infestation? Since mice prefer to move when it’s dark so a predator won’t notice them, it’s natural that you don’t see mice in your house. They also have no business in most of your house, they would usually only stick around the kitchen or your pantry, so you wouldn’t see them in your bathroom or bedroom at night. If you do, however, see them during daylight and especially outside of your kitchen, that can be a firm indicator that you have a heavy infestation and you need to seek professional help right away. Question 11: Why do I have mice when I have a cat? Not all cats are hunters. Especially cats that live in closed spaces. They are not used to chasing mice. Cats who live outdoors are more likely to have the natural urge to chase the mice. What is more, even if your cat is chasing the mice inside of the house it would be hard to catch it when the mice hide in the wall or some other small space. Read more: Rodents pest control.